I am thrilled to introduce a new weekly feature, Writing on the Ether, by former CNN journalist Porter Anderson. Writing on the Ether will round up some of the best and timeliest articles related to writing and publishing that you don’t want to miss. The harkening and who knew? 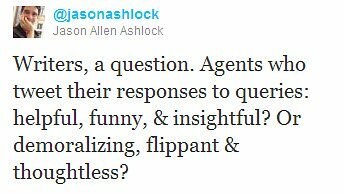 Ashlock was leading an impromptu chat with writers and some agents—about literary agents’ Twitter patterns. Strictly in general terms. No names. In any business, tweeting on your professional account involves the potential both for prudent communication and for other things. On Monday evening, the term “snark” probably would have dominated a word cloud from the chat. But Ashlock is a gentleman. I think we could benefit from hearing more on this topic, in the constructive context Ashlock brought to the table. Are there any author-clients who have been surprised at the tone and substance of their agents’ tweets? And are there agents who’d like me to just get on to the next item? OK, I will. The huh?—what was this “publishing” thing, again? Porter Anderson is a Fellow with the National Critics Institute, and a senior producer and consultant formerly with the United Nations World Food Programme in Rome and INDEX: Design to Improve Life in Copenhagen. 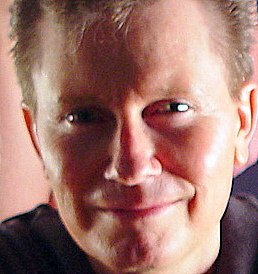 As a journalist, he has worked with media including CNN, the Village Voice, and the Dallas Times Herald. He’s based in Tampa. Porter, thank you so much for the mention! Looking forward to your regular updates here. My pleasure, Nina, your double-header on Twitter is full of good info for writers, and I like how you and Therese at Writer Unboxed split the approach into the “art” and “science,” very helpful for folks getting the basics. Thanks for the good work and for reading the column here. Looking forward to the new feature! I had a couple of these on my “linky love” post yesterday . . .
All kinds of information out there and I like it when I can see some “at a glance” like this. Thank you! Super, Kathryn, sounds as if you have a good “linky love” operation, yourself, lol. Hope the column will work for you well weekly, do let me know how I’m doing. Whoop! I am thrilled to know Porter will contribute a weekly round-up. I believe Jane has found the perfect person for the job. Now, I must check out the article on how to make my Kindle read to me. Just in time. I’m off on my own writing venture and these will be sure to spur along ideas and resources. Congrats, and looking forward to continual reading. All the best with your new venture — I hope some of the work covered “on the ether” each week here will factor into your project, and thanks for commenting. I agree with Darrelyn. Few people with credentials like Porter’s are sifting through the fluff as well as he is. I particularly appreciated Nash’s, “What we thought publishing was, was not in fact what publishing was. It’s not what writers and readers needed.” I’m excited to see the publishers who figure out what the market needs succeed wildly. Love that anecdote about Ferriss – very encouraging! Hey, Jeff, thanks for your comment, and yeah, you have to read Rebecca’s piece on Ferriss, she delivers several jaw-dropping moments. The many, many ways of being human. 🙂 Looking forward to reading your interview today with Skye Jethani, hard to beat a title like “The Divine Commodity,” isn’t it? Thanks for the mention, Porter! Looking forward to the weekly round-up here. My favorite blogger and my favorite Tweeter together again for the first time! And you have quotes from some of my favorite Tweeps: Nina Badzin, Mark Williams and Elizabeth S. Craig! I hope I’ll make it into that illustrious pantheon some day. What a great addition to this blog! Well done, you two. A perfect partnership. A match made in Etherland! Now if we can figure out a way to harness the energy and smarts that Jane and Porter are wrestling we might be able to abandon petro AND nuclear… It’s the Friedman-Anderson Dynamo! Thank you. What a nice surprise to find you here—great to have a world-class wrangler branding and herding the best info to my favorite corrals.